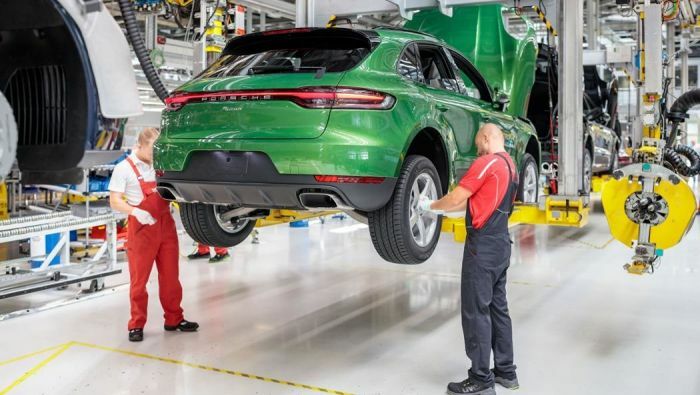 In what is a first for Porsche – actually it is more than a first; it is a life-changing, mind-blowing step – the automaker has gone into production with its Macan, less than a month after its intro in Shanghai. Okay, so you are probably yawning right now, looking to switch to another author, right? Give me a second, and I’ll explain the importance of this particular move. Now, while its production plans are a big enough surprise in themselves, there’s another, even more, surprising take away from Porsche, where it will begin selling Leipzig-made Macan. Usually, Porsche would have started selling its first production units in Stuttgart and around the German city, Stuttgart, as well as other German venues. Instead, Porsche plans to deliver the first 100,000 – many are already there – to China, which is now the automaker’s largest market. Macan changes detailed for new model. Ultimately, Porsche’s goal is to add 420 units a day by early this month so that its output will match pre-facelift Macan. This is the earliest that the automaker has ramped up its production for any model, as well. Porsche has, by the way, given Macan a mid-course refresher with a new front end and rear, as well as interior changes. Though it may seem weird to some that SUVs have become Porsche’s best-selling models, it isn’t all that strange because the market has made it that way. For example, Porsche wants to add 100,000 models to the 350,000 already sold so it makes sense it would turn to China, its top market. Interestingly, Macan is Porsche's top-seller in China which is a reflection of market trends in general. Other SUV/crossovers are equally as sought after in the SUV/crossover market. For example, Cayenne, the model that surprised – and likely upset Porsche purists – 16 years ago when it rolled off the line and into the sales fray, remains a healthy seller. Cayenne sales plans expanded for market. Of course, the automaker wants to take advantage of that fact. Indeed, the Cayenne is central to Porsche’s strategy. According to last month's sales figures, Cayenne is second to Macan in deliveries. Now, the VW subsidiary, hoping to continue translating its marketplace presence into more sales, plans to add an updated, coupe-style model, by the end of the decade.Porsche plans "coupe-style" market to build Cayenne sales. At this point in every story written about Porsche and its plans, the reasoning behind all of the machinations is mentioned to clear up any shadows that may remain. The reason for the quick moves with the Macan and the continued support for Cayenne, as well as future plans for the SUV, are straightforward, money. Sport-utes are meteoric rainmakers (moneymakers) now. They have been for about two years. Looking at their continued strong performance, the automaker believes that their continuing sales will allow Porsche to launch its first-ever electric, the Taycan, (Porsche develops its first electric) before the end of the decade, followed by an already debuted model, Mission E Cross Tourismo. Mission E Cross Tourismo waiting in the wings. If you are interested in the color, the first buyer of one of the 100,000 Macans already delivered will be: It is Mamba Green Metallic. We’ll leave it at that.